Full-color images of puppies decorate each page of this calendar desk pad. Desk calendar offers 12 months of planning from January to December. Features one-page-per-month format, ample ruled writing space for notes, a handy 12-month reference guide from January to December and four corner binding. Background design and color scheme coordinate with each image. 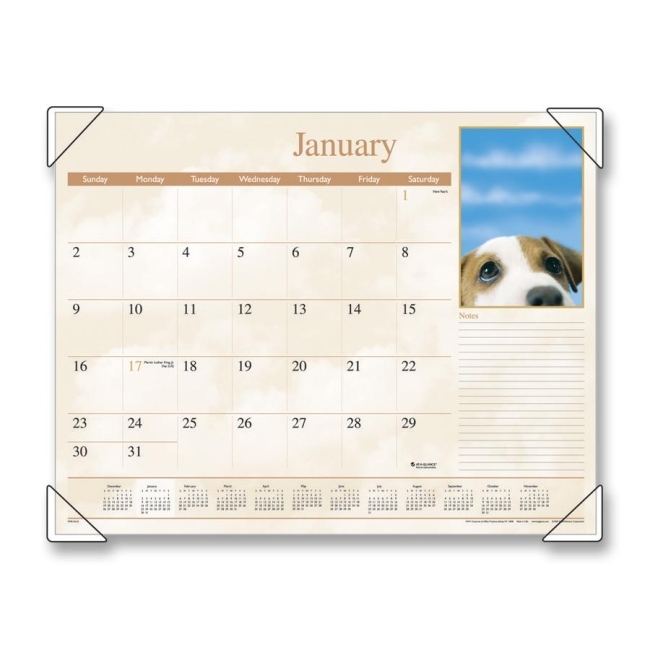 The desk pad also offers three bonus pages: current yearly reference calendar, future yearly reference calendar and a Dates to Remember Page. Printed on quality-recycled paper with 30 percent post-consumer material.